What Should You Include In Your Retirement Portfolio? “You are never too old to set another goal or to dream a new dream.” Retirement is the time to catch up on all you have lost, just because there was no time. It’s the time to spend with family and friends, as you remember the good old times over a cup of hot tea. To be happy in retirement, you need money. You must accumulate this money across your working life. You can’t get up at 60 and look for the money. Take a higher risk in investments, if you want a bigger retirement portfolio. Higher risk means higher returns. An aggressive investor looks to equity to get inflation-beating returns on the retirement portfolio. A conservative investor is not comfortable with too much risk in the retirement portfolio. He has to settle for a smaller retirement portfolio as he’s not comfortable with equity. The best time to build a retirement portfolio is the first salary of your first job. An aggressive investor must invest in equity when he is young, just started working and doesn’t have too many dependents. Equities are good for a retirement portfolio if you stay invested for the long-term. Try investing in diversified equity funds where money is invested across sectors. Diversification protects the investment and you earn, inflation beating returns till retirement. Invest in equity mutual funds through Systematic Investment Plans or SIPs. SIPs are a method of investing small amounts regularly says once each day, week or month in a mutual fund scheme. Don’t forget the tax-saving mutual fund, ELSS. 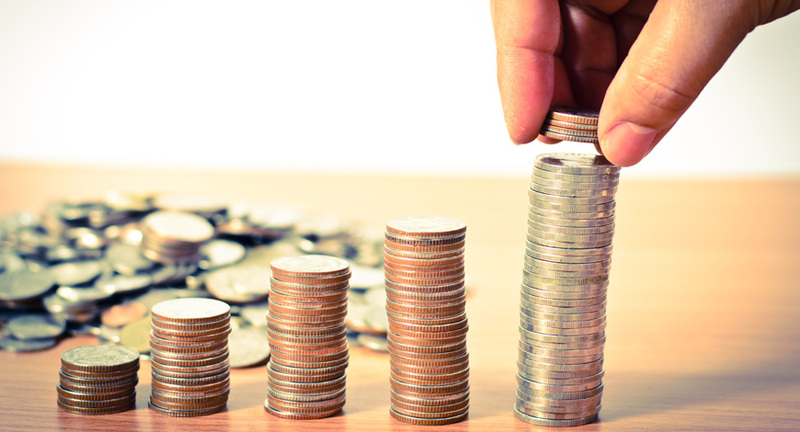 Equity Linked Saving Scheme popularly called ELSS invests most of your money in stocks. It comes with a 3 year lock-in and forces you to stay invested for the long term. You enjoy tax benefits on an investment in ELSS under Section 80C, up to Rs 1.5 Lakhs a year. Make sure you have ELSS in that retirement portfolio. Many citizens invest in fixed deposits for their retirement portfolio. FDs give returns of around 6.5-7% a year, but you need something more in the retirement portfolio. You can bolster the retirement portfolio with the Public Provident Fund or PPF. PPF currently offers 7.6% from July 2018. It has a lock-in of 15 years and is an excellent long-term investment for a retirement portfolio. PPF enjoys the EEE benefit where the investment enjoys a tax deduction up to Rs 1.5 Lakhs a year under Section 80C. The interest and the amount withdrawn at maturity are tax-free. Include AAA rated Company Deposits in the portfolio. Tax-free bonds are good, if you fall in the higher tax brackets. A medical emergency can strike at any time, destroying the retirement portfolio. You have to protect it with a health insurance plan. Avail a family floater health insurance plan, which extends cover to the entire family and protects them from costly hospitalization. Make sure to avail health insurance when you are young and healthy. The premiums are quite low and the insurer cannot deny you health cover. A house offers secure retirement. Buy or construct a house even if you must avail a home loan. Make sure to pay off the home loan and all debt before retirement. The house should be free of all encumbrances at retirement. Take a reverse mortgage on the house if you need money in retirement. It’s the opposite of a home loan where a senior citizen gets payments from the bank, against the mortgage of a residential property. Opt for reverse mortgage if you need periodic payments in retirement. National Pension Scheme popularly called NPS is a market-linked retirement plan. NPS invests a maximum of 50% in equity and offers higher returns on a retirement portfolio. You may withdraw 60% of the corpus at retirement and the remaining 40% must be compulsorily invested in an annuity plan. You get a pension from the annuity plan after retirement. Avail NPS only if you can handle risk as it invests up to 50% in equity. NPS discourages an early exit and on withdrawal before retirement, you get only 20% of the corpus. The remaining 80% must be compulsorily annuitized.